Buying a foreclosed home for sale can be the ultimate bargain investment. Getting acquainted with all the facts that go into making your decision and closing the deal, however, can be challenging. You must do a little homework in the early stages of the house-hunting process so you can take the next steps as quickly as possible. Below are some frequently asked questions about some the of the most critical documents you will need. What is a property title and why do I need to perform a title search before buying a foreclosure? The changes in the new foreclosure laws passed by the United States federal and state government entities has created additional hurdles in getting all your "ducks in a row" to complete your home purchase. This makes a title search a critical tool in the homebuying process. A property title is a collection of records and rights for a property. As each property transfer takes place, a document called a "deed" is recorded in the land records. The deed is a record of that transfer event. 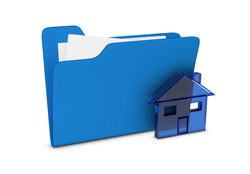 Information about mortgages, liens or other property records are recorded as separate events as each event takes place in a separate document recording. When a new document cancels or changes a previous mortgage or transfer, the old document is not deleted or erased. It stays in its existing location, and the new one is recorded separately. The status of a property title is determined by going back through the property history, looking at all of the documents recorded over time to see what they say about the status of the property today. The popular phrase "free title" technically does not exist. Even when a property is "paid for" without a mortgage there is always something that will restrict the title, including accrued property taxes and zoning restrictions that may be the new homeowner's responsibility. Don't get caught with the unexpected expenses involved with any potential title issues. Got a property in mind to buy? What documents and specifics are involved in buying a foreclosure? Of course, the first step is finding a distressed property on Foreclosure.com. There are many documents and contracts significantly important when buying a foreclosure. What is often missing from contracts are the details you need to keep track of before going through the closing. Our "Homebuying Checklists" are tools we offer to help you navigate some of the little details when buying a foreclosed home. What documentation and information should I have before buying a tax lien/tax deed certificate? You have located a tax lien or tax deed here on Foreclosure.com ... now what? Tax liens/tax deeds can be a lucrative investment with modest to high returns, depending on the state in which you live in and whether you invest in a tax lien certificate or a tax deed sale. There are many ins and outs within the investment process. We have found TaxLiens.com to be an authoritative resource on investing in tax liens and tax deeds. Once you have done your research, you can download our "Tax Lien/Tax Deed Checklist" right here. A licensed real estate agent can be your first defense in navigating the waters in buying distressed properties. What series of legal documents are required to purchase a foreclosed house? Legal documents are specific to the laws governed by your state of residence. Real estate deeds, contracts and liens may be some of the documentation you will need to close on your home. Get all the necessary forms required to buy or sell a home as early as possible. The package includes an Offer to Purchase, Contract for Sale, Disclosure Statements, Lead Paint Disclosure and more — all specific to the state in which you live. A good real estate professional is your first defense in completing your home purchase contracts and documentation. Find a good real estate agent/broker in your area sooner rather than later.